Here you’ll find advice on the practicalities of towing a caravan. Areas covered include obtaining the correct towing licence and measuring and reducing caravan weight. If you want more detailed information on individual cars why not take a look at our towcar reviews database? 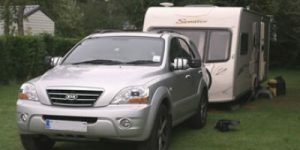 Safe and responsible towing is an important part of caravanning. The correct driving licence for towing a caravan can depend on when you passed your driving test, when your licence expires, and the weight of your outfit. Our towing advice can help you to understand your licence requirements and how to accurately measure the weight of your caravan. Check the details and make sure you’re towing your caravan safely!